Indeed, wow. That was a joy to watch. Getting 100% on all stages is quite impressive. Awesome work on the medal chains, too. Have you tried playing with the 2P ship? I found it much easier to maintain medal chains with it, due to its slightly higher maneuverability. Many thanks to ask me to play with 2nd ship. Wide shot seems little stronger and laser seems weaker but the ship is a little faster witch is better on few area. Stage 1 and 2 are not perfect, sure that 5.1M is possible if I can make all good patterns together. I will put replay with 2nd ship very soon. Impressive man well done!Tackle the xi stag ship next! XII stag ship is a complete different gameplay and much more dangerous but is true that very high score is possible with it. here is ma last replay with second ship. So you broke 5 million! Amazing! Updated! And sorry for the delay. ben.shinobi - I'm currently on the internet on the train with a connection to crappy to see that video. Is that a new score submission, or a video of the previously submitted score that, as of this post, tops the leaderboard? Fourth proper sit-down with the game. 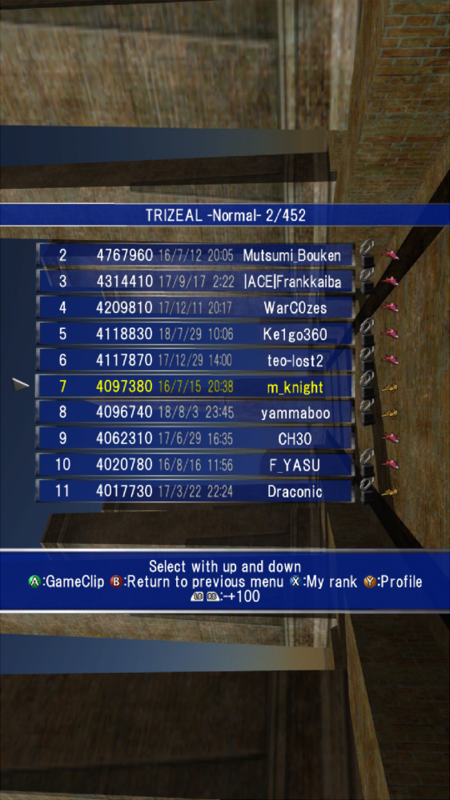 Some improvements can be made, especially since I died twice on the stage5 wall out of sheer stupidity in this run. Currently I only play it casually, which is kind of fun, because scoring in this game involves pulling teeth out. 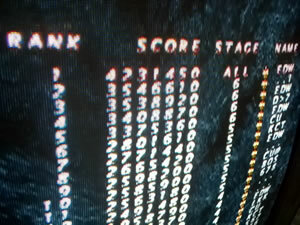 Accidentally triggered rank early on, but managed to still no miss up to stage 4 boss. Then had a bad stage 5, died before the wall(intentional, though not worth it unless you can chain it which I didn't) then died by during the wall by moving into a bullet leaving me with no spare lives for the stage 5 boss or stage 6. I try doing the wall the way in the replay, but I seem to accidentally move a bit too far or too early and die as well as drop medals. Still don't know how to properly fight Stage 5 so bombed leaving myself with no bombs in stock for stage 6. Triggered the bomb secret in stage 6 by pause spamming once the midboss appears until I got the bomb. It's done before the fight not during like I thought during my first 1cc(was trying it on the attack that happens after the opener there, but it's actually before it shoots any bullets). Then got a no miss 1 bomb of the final boss. Also messed with rapid transform in this run and couldn't tell if it was helping or hurting me in terms of gameplay. Got 100% in most of the stages this time, though I still can't do it on stage 5 yet. I think with 100% all levels, no rank, and not screwing things up(so not dying stupidly, not getting screwed by the stage 4 boss, not dying before stage 5 wall so that you only use laser for it to try to chain), I think I could maybe get 4.5 million. I played this using the "normal" rapid shot setting, not the 30/sec rapid shot. In my opinion 30/sec rapid shot makes the game a lot easier, which should probably warrant a table split if such details are to be considered.